Transport Malta recently updated a 2008 notice to mariners about artificial wrecks, but divers are disappointed that some types of fishing are still permitted. Notice to Mariners 08/2019 replaced Notice to Mariners 05/2008, adding two more artificial wrecks – Tug 2 at St Julian’s and P31 at the south entrance to Blue Lagoon – to the seven that were already listed. Both these vessels were scuttled since 2008. The notice warns mariners that the sites are considering to be ‘no stopping areas’ and that anchoring by divers’ vessels is only allowed after pre-notification. It also bans spear fishing and the use of fishing gear such as set bottom lines, and various types of nets, pots and traps. However, surface fishing using trolling lines and angling for pelagic fish is allowed. The notice has disappointed divers on two counts. 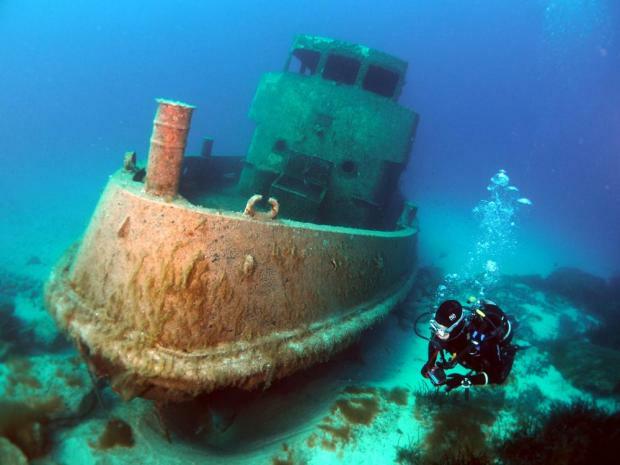 The Federation of Underwater Activities Malta together with the Professional Diving Schools Association said the notice could have been extended to include some 10 other wrecks, as well as other historical or underwater attractions, giving them better protection. One measure they suggested to protect them was the use of permanent mooring points rather than allowing dive boats to anchor. “We would have liked to see a change in this regard so that measures to encourage further protection of Malta and Gozo's underwater resources are taken. “It is to be noted that artificial reefs serve not only as an attraction for scuba or free divers but also as an ‘incubator’ for fish which assist in replenishing fish stocks in the surrounding areas. The capture of fish within the specific area is counterproductive, especially at a stage where not only local professional and recreational fishermen are worried by the status of fish stocks near shore areas, but also local and foreign visitors who are free divers or scuba divers,” they told Times of Malta. The associations said the tens of thousands of local and foreign visitors were witnessing worrying declines of fish around the Maltese islands’ coast, as supported by the latest state of the industry surveys. They also lamented the danger to divers posed by fishing lines and passing boats, saying that these were potentially deadly. “The allowance of passage further complicates the enforcement of protection for these zones as it is harder to distinguish between the different types of fishing to confirm whether a rule was broken or not and many times offenders may be gone well before anyone can catch a registration number or by the time enforcement officers are anywhere in the area,” they said, adding that it was the equivalent of having a main road passing through a family park. The associations also suggested that sites should be also clearly marked with perimeter indicator buoys for at least nine months of the year, from March to December, noting that during this period, water activities around the coast increased tenfold.